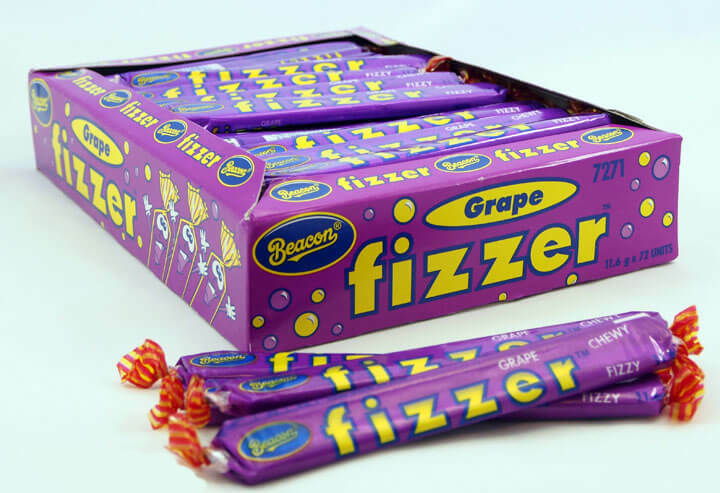 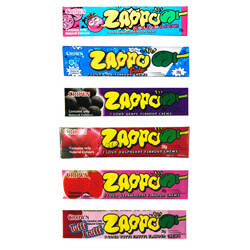 Beacon Fizzers are Fizzy and Chewy bars available in Strawberry, Grape, Cream Soda & Orange flavours. 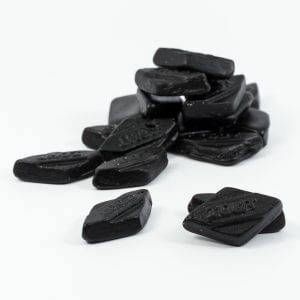 Supplied in a HUGE 72 pack theses flavour packed chews are a sure favourite for any event. 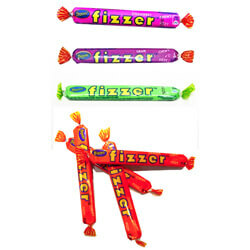 An interesting fact about Fizzers is that it’s texture changes with temperature. 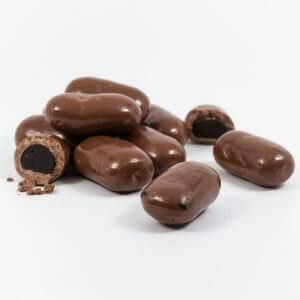 When chilled or at room temperature, the candy has a hard and brittle texture which “fizzes” when chewed on. 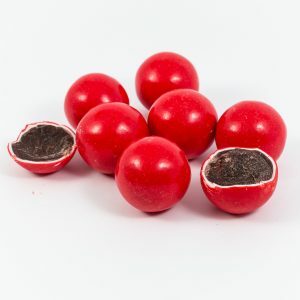 When warm, the candy becomes softer and easier to chew on. 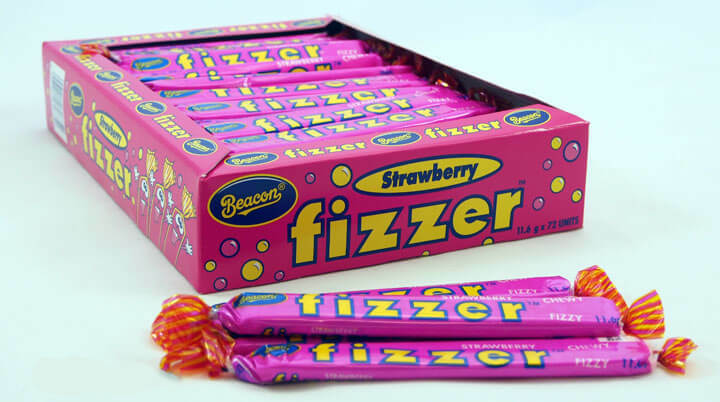 It also loses some of its fizz. 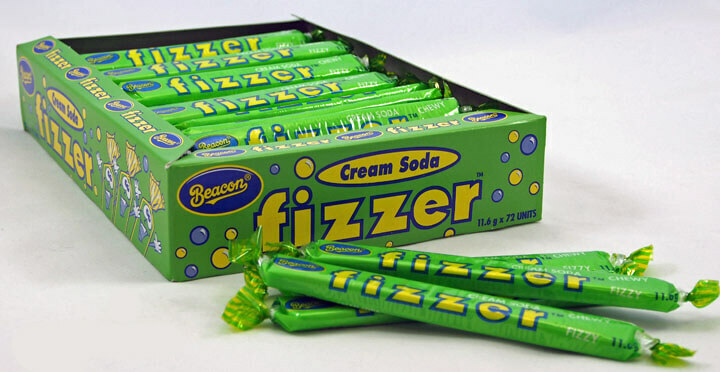 While in it’s “warm” state, Fizzers are a light bubbly texture. 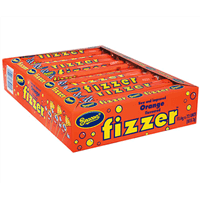 Corn Glucose Syrup, Sugar, Vegetable Oil, Acidity Regulators (330, 296, 500), Water, Egg Albumen, Emulsifier (471), Soy Protein, Flavour, Colours Strawberry (122), Orange (110), Cream Soda (104, 142), Grape (129, 133)).